Sega back on Thursday put on sale most Sonic games available on Wii U and 3DS in NA, which runs until November 29th. The major exclusions include Sonic Boom: Fire & Ice and the Olympic games. Today in this week’s NA Nintendo Downloads PR, it was announced that various Sonic games are on sale on the NA eShop on both Wii U and 3DS, and there’s quite a few games to choose from. You can view the entire list below. 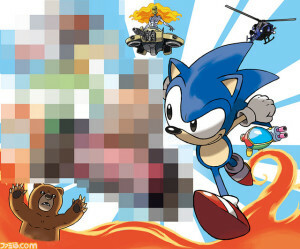 It finally happened, Ken Sugimori (Pokémon) has drawn Sonic! 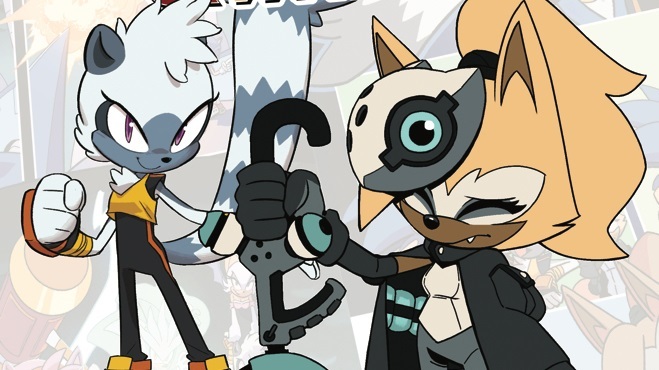 Above you see the cover artwork for the just announced Sega 3D Classics Print 2, a compilation of Sega’s 3D Classics on 3DS, though only five games are confirmed right now, including Sonic 1. What’s so special is that like the box of the first pack, this was drawn by the main character designer and artist of Pokémon himself; Ken Sugimori. More surprises are teased, like the blurred out bit above. Any guesses? The pack is due on December 22nd 2015 in Japan. The first never left Japan, so don’t expect the same for this. Image and announcement came from Famitsu. It seems that Sonic the Hedgehog is finally coming to the Nintendo 3DS eShop… but this time, he’s not alone: he’s got some friends along! Through a recent Nintendo Direct Mini, Nintendo of Europe President Satoru Shibata has recently confirmed that the SEGA 3D Classic series will be coming ’round the European eShops soon, with the SEGA Blog confirming North American releases as well. 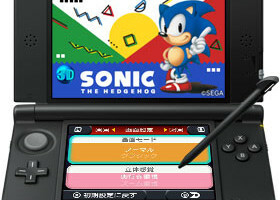 Added features with the Genesis rereleases include 3D depth, a staple for Nintendo’s appropriately named handheld, and toggling sound formats if 3D Sonic the Hedgehog is of any indication. Though no official release dates have been given yet, the following games, announced from 5:15 onward, are set to roll out in the near future! Plan on downloading these babies once they reach their street dates? Giving a whirl on Mega Drive titles you never got the chance to play before? Picking up a bigger SD card for your 3DS as a precaution? Taking up extra shifts for extra money? Finding the com—you get the idea.